Large Decorative Antique Indian Amritsar Rug, Country of Origin: India, Circa date: Late 19th Century – This beautiful and large size antique Indian Amritsar rug over one hundred years ago, during the height of the antique rug revival period of the late 19th century. 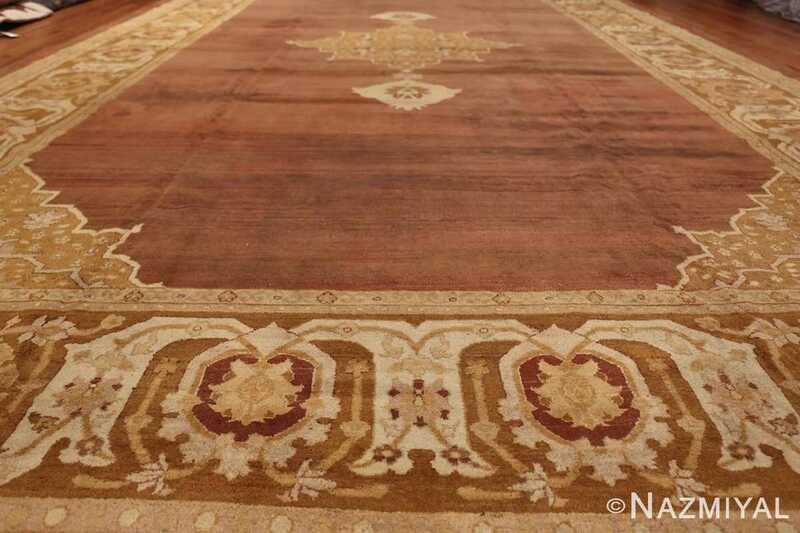 A piece that is as beautiful as it is impeccably well made, this beautiful large size rug continues to be as aesthetically appealing up to this point in time as it was upon its original weaving so many years ago is a genuine testament to the skills of the artisans responsible for its original composition. 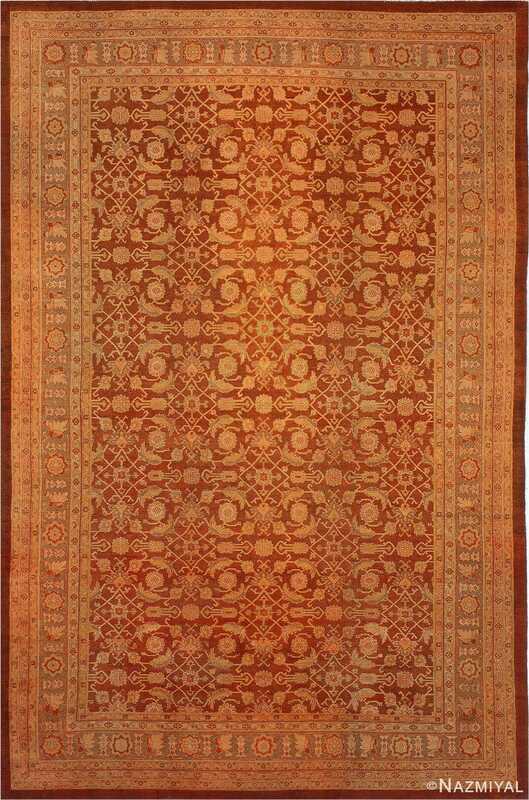 This antique Amritsar rug, from India, appears as if a prized pendant was placed on a piece of finely woven velvet. 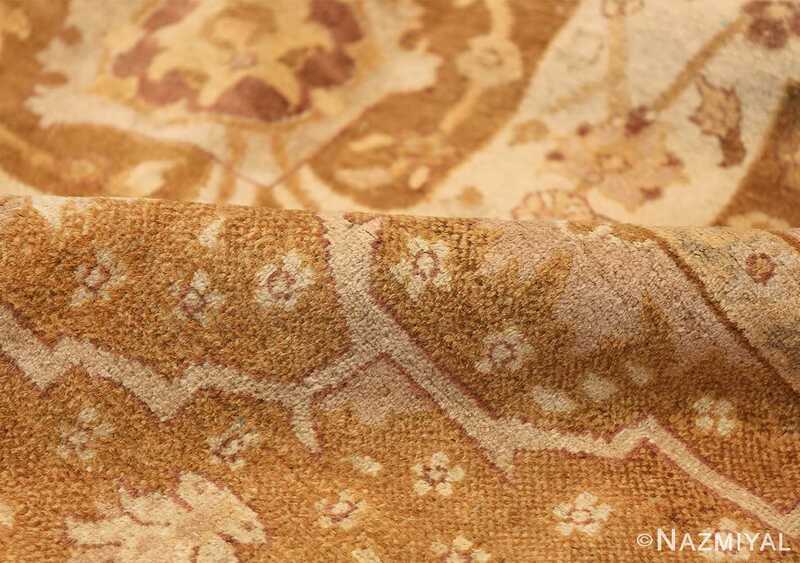 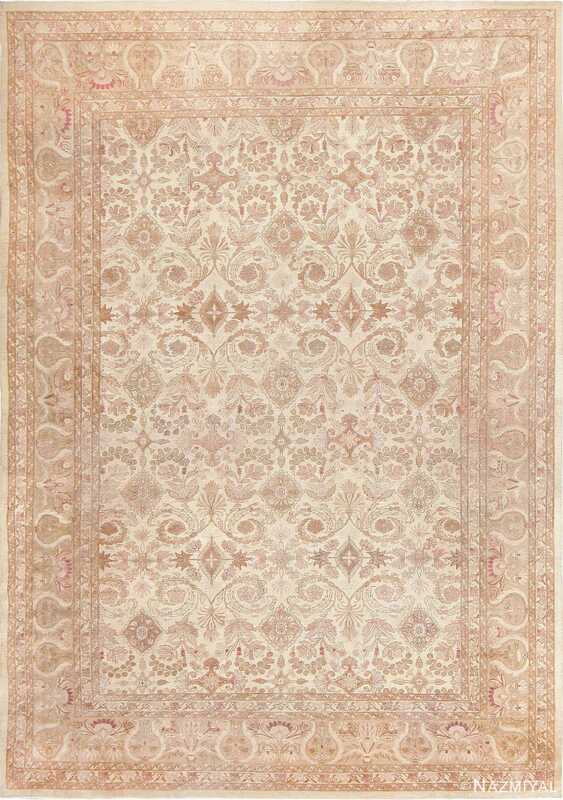 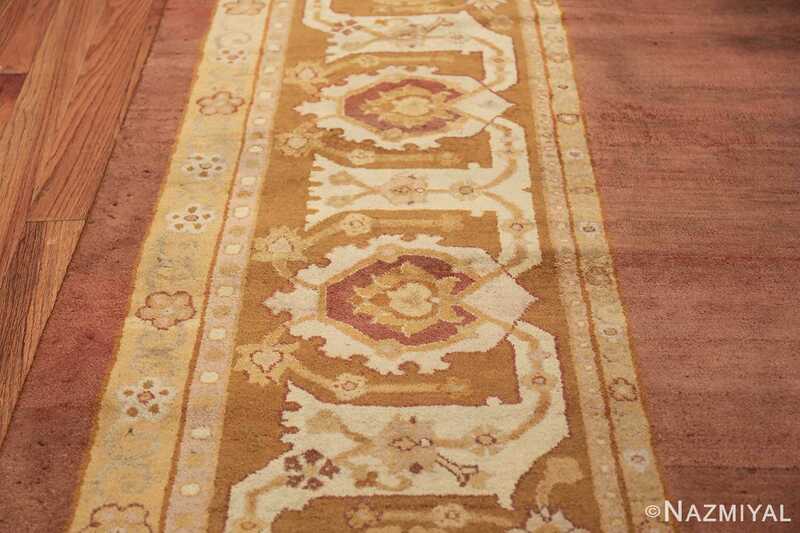 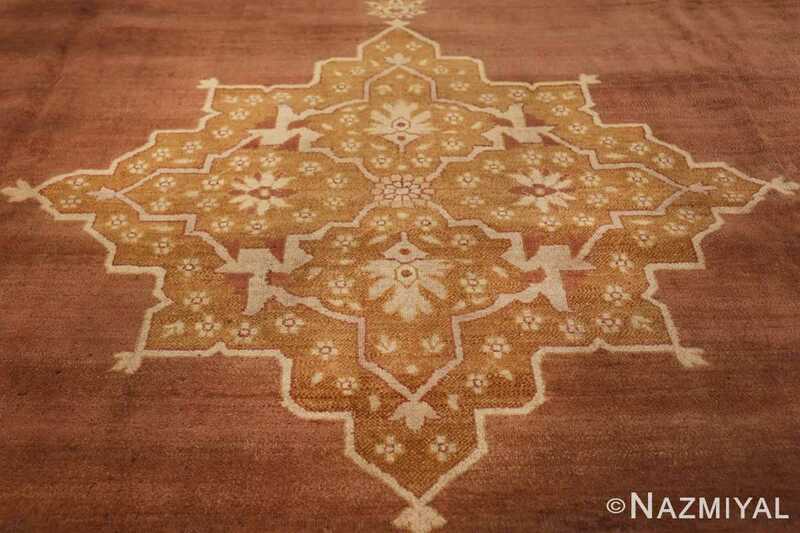 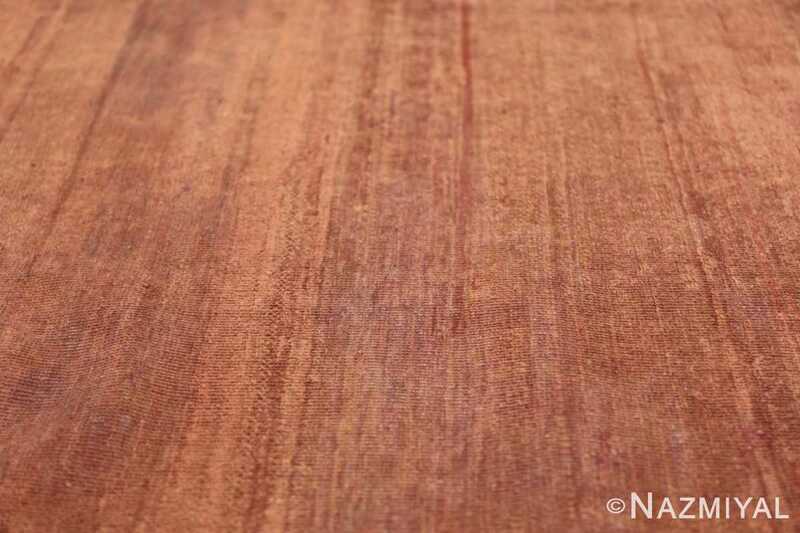 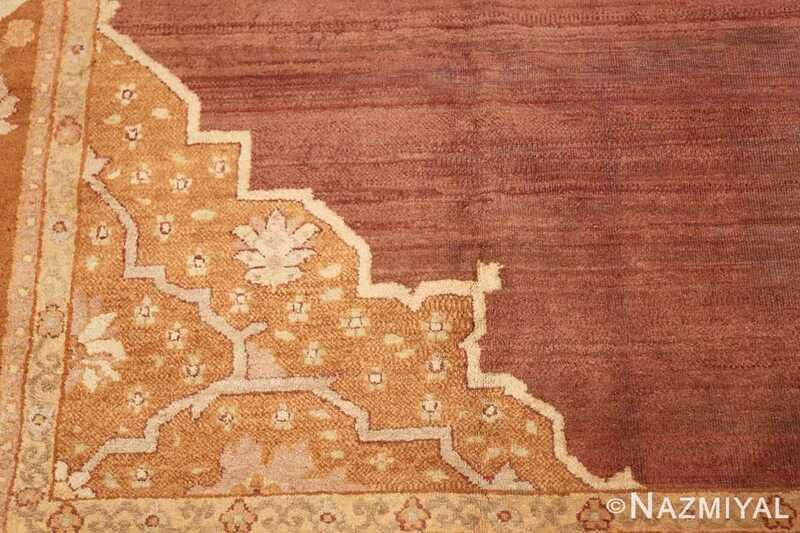 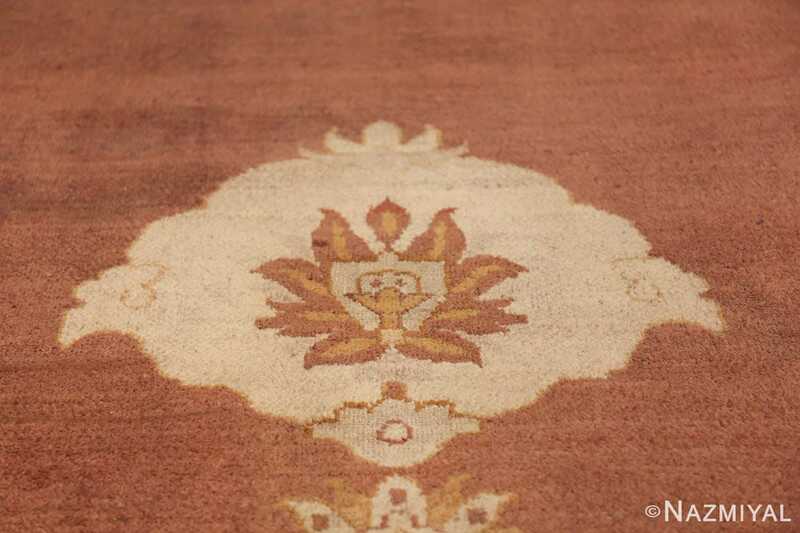 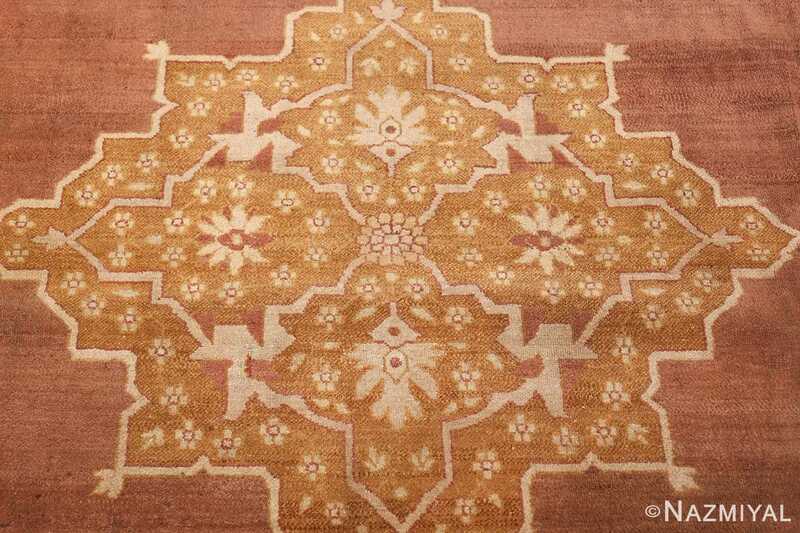 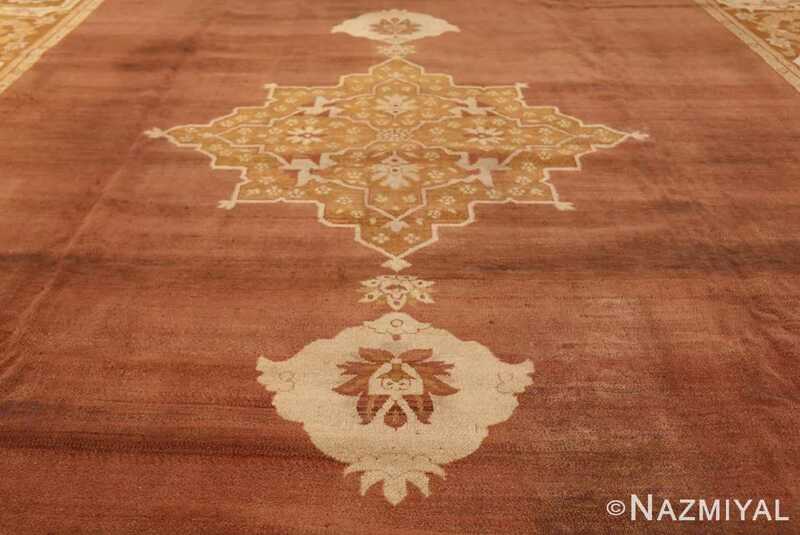 The enlarged border design is reminiscent of classic late 18th century Agra carpets. 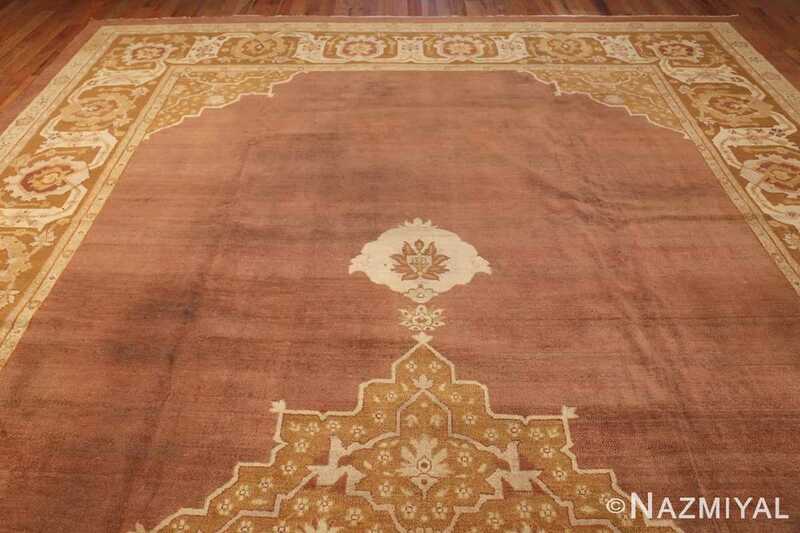 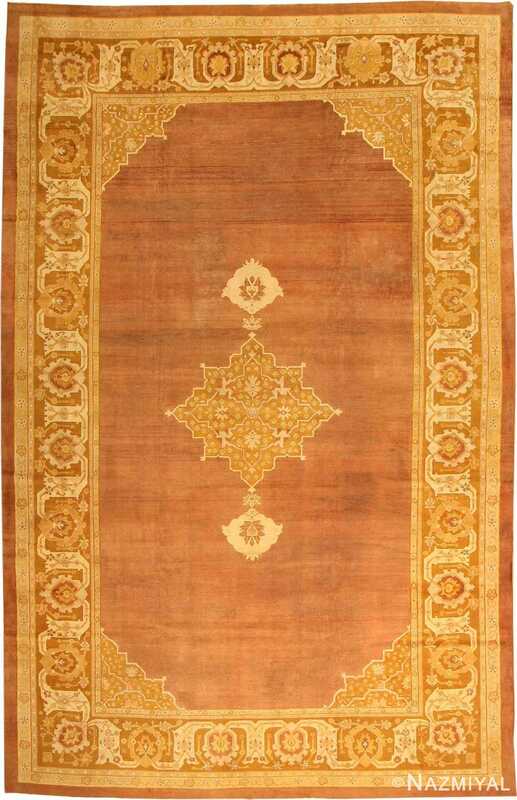 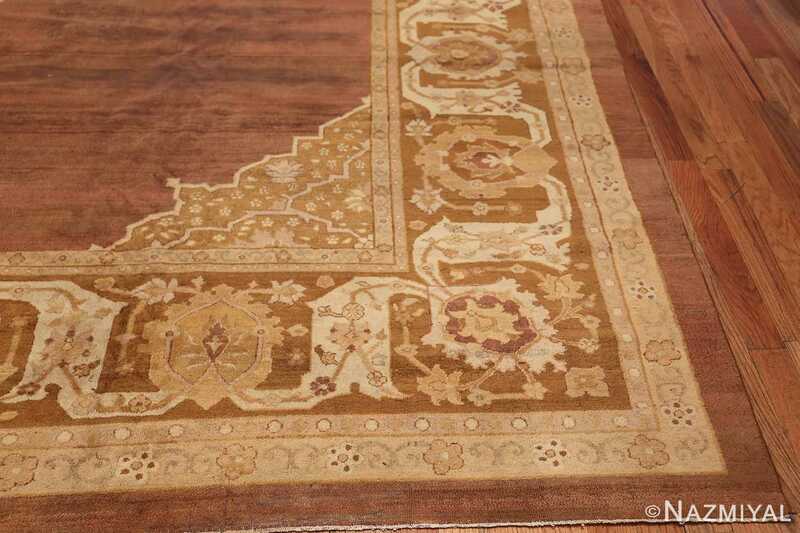 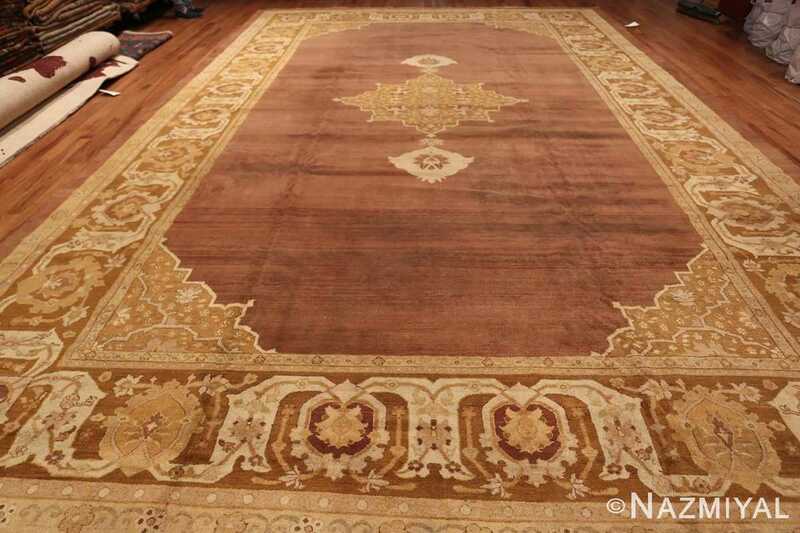 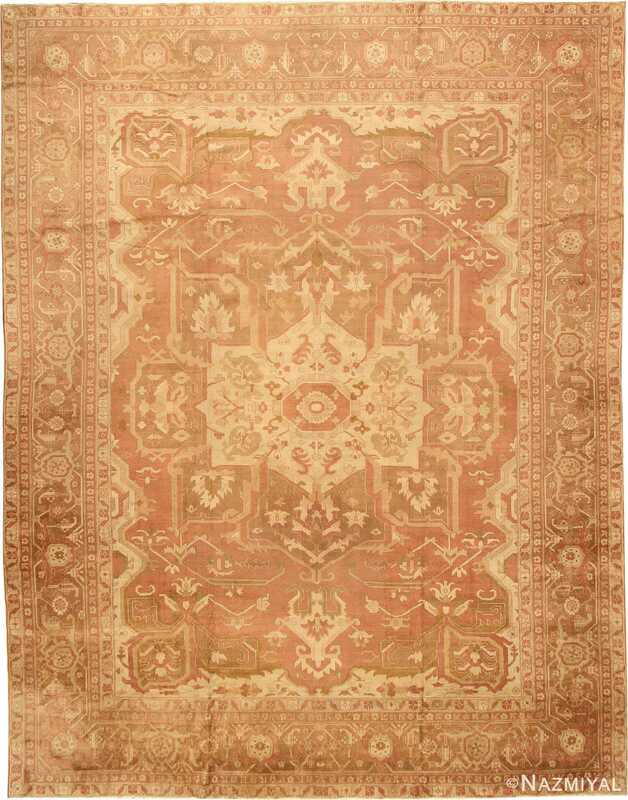 This large and decorative antique Indian Amritsar rug has the look of something made for an important Mughal palace.